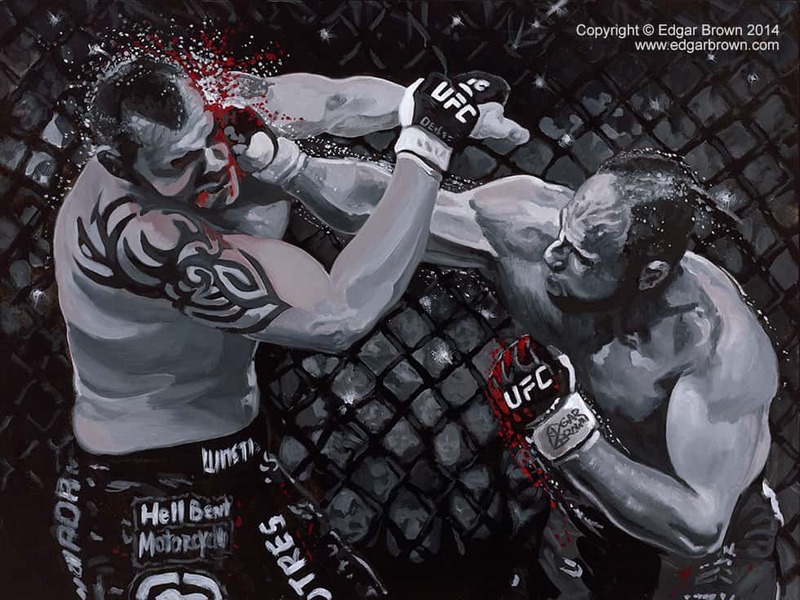 This MMA painting of Randy Couture captures the ultimate fighter hammering Tim “The Maine-iac” Sylvia with a devastating blow that sends his opponent crashing to the mat. 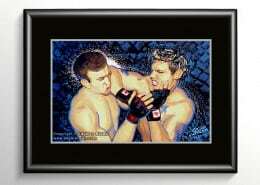 Randy Couture gained the Ultimate Fighting Championship Heavyweight Title after this match. 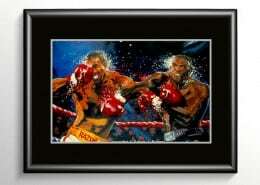 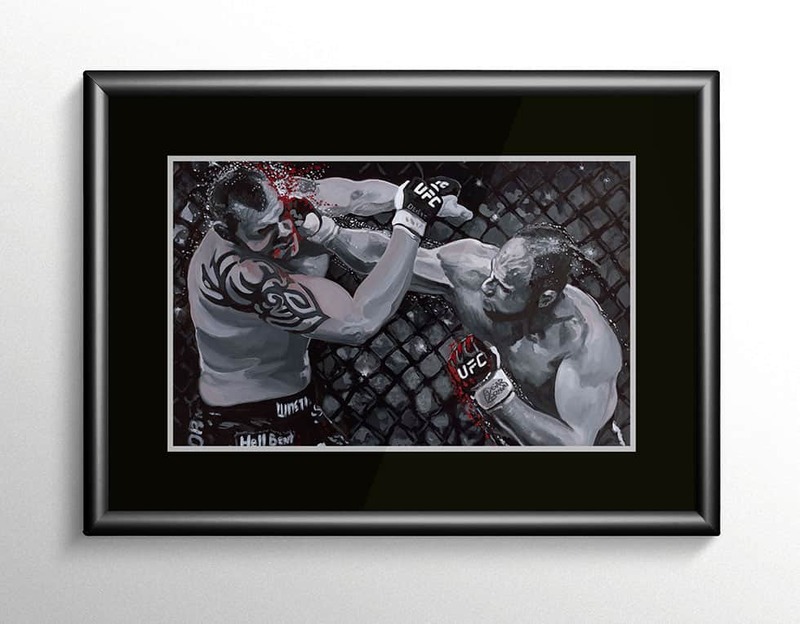 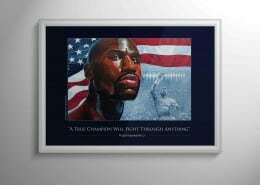 Limited edition prints are available autographed by Randy Couture.